This Karwa Chauth, try out any of these 5 stunning bright eye makeup looks for a gorgeous festive looking you! With Navratri and Dussehra just gone by, it’s time to gear up for Karwa Chauth. It is one time of the year when all women especially up north, love to get bedecked in their best ethnic ensemble, and jewelry, wear elaborate mehndi designs on their hands and feet and basically look nothing short of exquisite. And makeup is an integral part of the whole look. So today Zuri brings 5 stunning eye makeup ideas using bright colors for you to sport this Karwa Chauth. 1. Red and gold smokey eye makeup: Wearing red is considered auspicious on Karwa Chauth. So why not incorporate hues of red in your eye makeup too? 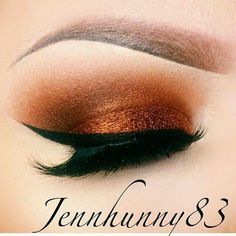 Sweep some gold on the inner half of your lid and cover the rest of it with shades of red making a “>” at the outer corner of your eye. Don’t forget to apply some beige eyeshadow on your brow bone. 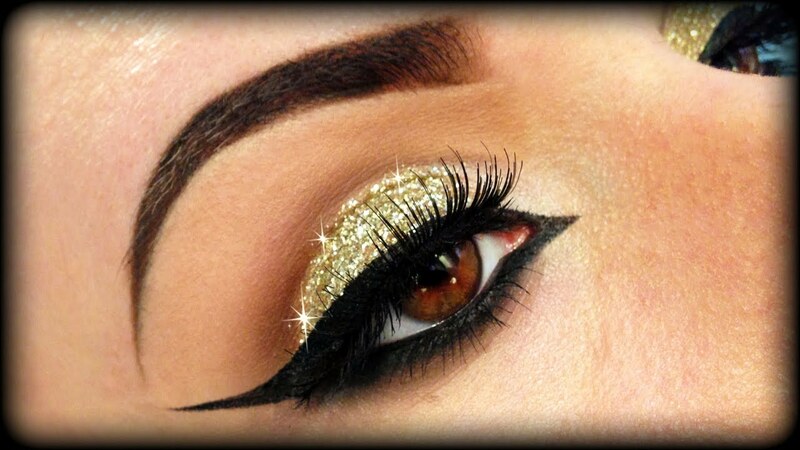 Wear a wing tip eyeliner and lots of mascara and you’re all set with your sultry red and gold smokey eye makeup. 2. 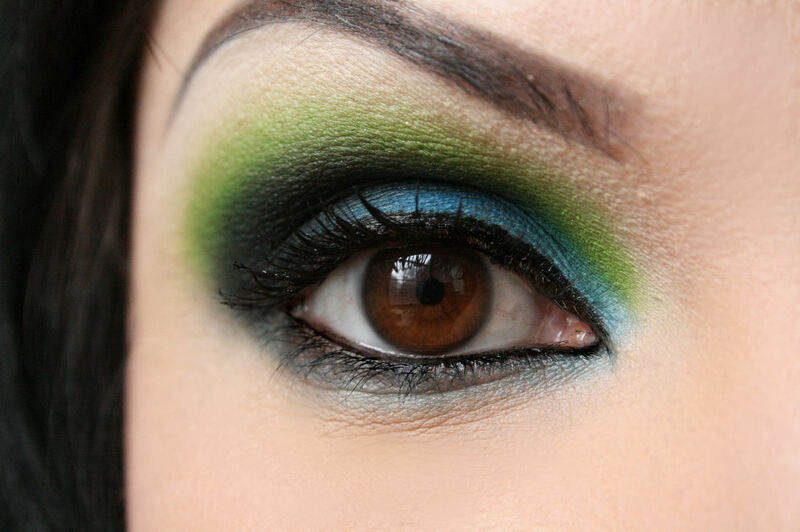 Green and blue: Go for a combination of green and blue for vibrant looking eyes. Begin with highlighting your brow bone with a matte beige eyeshadow. Now apply the blue on the lid until the natural crease. Blend out any harsh edges near the crease with a clean brush. Also, apply it across the lower lash line for an extra dose of drama. Now apply the green eyeshadow on the crease extending all the way to the outer ‘>’ of the crease. Line your eyes with a thick kajal and eyeliner and you’re ready with your vivid and refreshing eye makeup. 3. Copper: Apply a layer of shimmery copper eyeshadow in combination with earthy colours like beiges and browns. Confine it to the outer half of your lid. It not only warms up the neutral palette but also highlights your dark eye colour. And the shimmer formula moves it a notch further by adding texture to it. 4. Gold: Gold is one color that looks unparalleled on Indian eyes. Being shiny and brilliant it only adds to the festive look. Besides it works brilliantly with darker skin tones and adds bling to your traditional dabka and gotta patti attire. Go for cat eyeliner and false eyelashes for an even dramatic look. 5. Hot pink: Now hot pink is another personal favourite especially for an occasion like Karwa Chauth. It is cool and subtle, yet makes your eyes pop. So apply a shade of hot pink on your eyelid, followed by some shimmery silver right in the centre of the lid to add some more zing to the look. Don’t forget to dab on some silver under your eye too. Go for an eyeliner style of your choice and you’re good to go. Do keep the following tips in mind while doing your eye makeup. Make sure your eyebrows are well kept. Fill in any sparse eyebrows with a matte eyeshadow. It’s not a good idea to match your eye shadow color with your outfit. In case you opt for smokey eye makeup, go sheer with your lips.